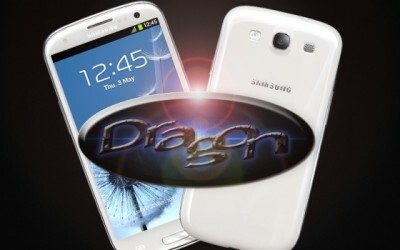 Highlight Features: Here are some great features of the Jellybean 4.1 based Dragon ROM. It has GPU Acceleration, RAM Optimizations, Removed bloatware Apps, OTA Updater, Fixed Email and Fixed Browser, built-in Cell Standby Fix, Updated Host List, Extended Power Menu, Custom Boot Animation Supported, 10 Steps Auto Brightness Mod, OOM Priority Supercharger, FontInstaller, SuperSu 0.96, Touch Recovery 6.0.1.2, Init.d Tweaks, Call Rec Enabled, Busybox, Hide Sms From Call Log, Fixed Wifi, Enable/Disable Fast Dormancy, CpuSpy, Zipaligns Apk’s At Boot, 1% Batt Mod, Build.prop Tweaks, and PlayStore 3.8.17. Disclaimer: We shall not be liable for damages caused because of not following the instructions mentioned here in this article. We will try our level best to help you to solve the problem. First of all install the Latest KIES and Samsung USB Drivers in your computer. Keep in mind that the process will only work on the Windows based computers. The USB Debugging can enable on your Galaxy S3 Smartphone by following the path “Settings > Applications > Development > USB debugging”. You have to keep minimum 30% battery on your device. Follow the steps mentioned below to back up all the data. Do not use KIES tool to create backup because, that may not support the device. Use the “SMS Backup & Restore app” to backup SMS and Sync Contacts with the Gmail application. Backup the Call Log using the Call Log and Restore. To set APN and MMS follow the path “Applications > Settings > Wireless and Network > Mobile Networks > Access Point Names”. You can easily apply this update if you have completed all these steps.